– Bill Bentley, The Morton Report. DOROTHY MORRISON, is the singer and co-author of the classic “Oh Happy Day”, recorded with The Edwin Hawkins Singers. It has sold over 7 million copies internationally. TRACY NELSON, founder of the legendary group Mother Earth, whose signature composition “Down So Low”, has been recorded by among others, Etta James, Linda Rondstadt, and most recently Cyndi Lauper. ANGELA STREHLI, who has devoted her life and career to the heroes of the “Blues” is the organizer of The Blues Broads and one of the driving forces behind the historic music venue, Rancho Nicasio in Marin County, where the group was first presented. ANNIE SAMPSON, former longtime cast member of “Hair” and the groundbreaking group Stoneground, brings deeply soulful roots whether singing blues, rock, a country ballad, or modern folk classic. 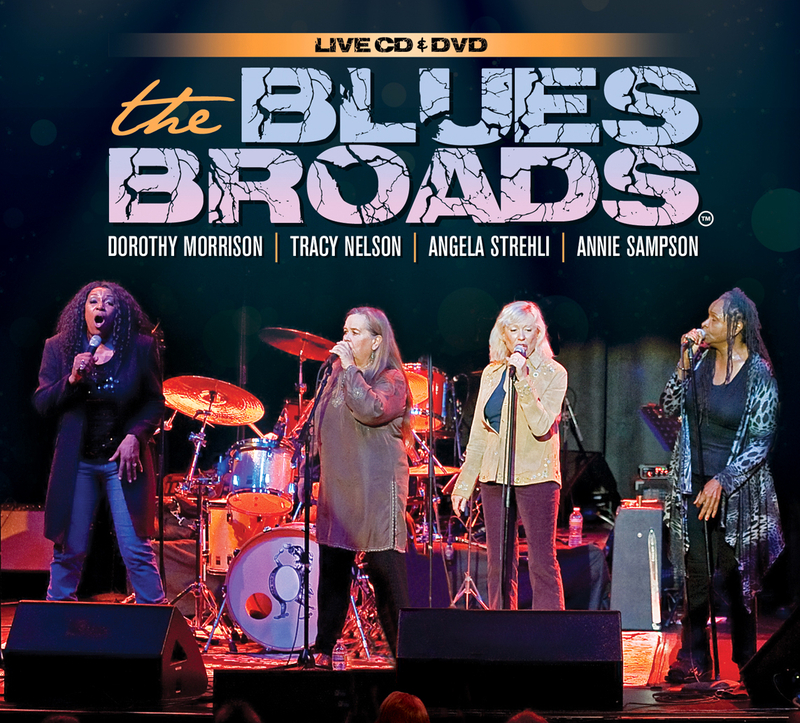 In this star-studded show, each artist gives the audience a taste of their individual specialty, and then combine voices in ways that make The Blues Broads far more than the sum of its parts. They are backed by some of some of the best musicians in the business, Gary Vogensen, guitar, Steve Ehrmann, bass, Mike Emerson, keyboards, and Paul Revelli, on drums. – Tim Jackson, Monterey Jazz Festival.